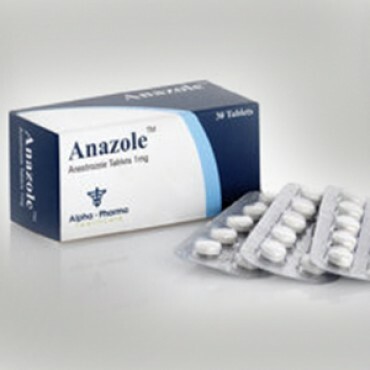 Anazole is an oral aromatase inhibitor and is a powerful anti-estrogen medicine, that was originally created to treat breast cancer. 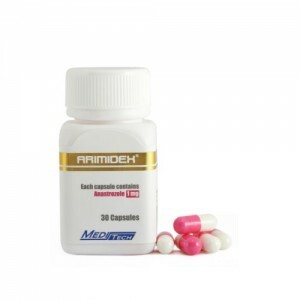 Active substance Anastrozole performs by actively blocking the aromatize enzyme which is very important for bodybuilders, specially that aromatase process is responsible for many negative side effects commonly associated with anabolic steroids use in particular with testosterone. 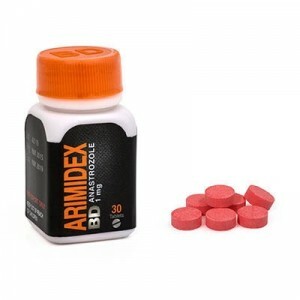 For athletes and bodybuilders, the higher is the estrogen level it means that is decreasing ability to burn fat and build muscles and it is using more energy, taking Anastrozole is an important part of bodybuilders in anabolic steroid cycle. Usually it is taken with Tamoxifen Citrate to ensure estrogen-related side effects are avoided. Many of anabolic steroids convert to estrogen such side effects as water retention, using of Anastrozole can largely be reduced. Shall know that this hormone is also responsible for muscle strength and gains. Anastrozole has the tendency to completely suppressed estrogen activity, including its positive effect on cholesterol levels in the body.